Tom's Bee Hives is the best source for honey in Las Vegas. 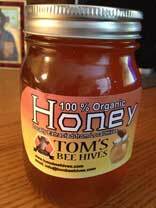 Tom's local, raw honey comes right from his Las Vegas backyard. You can get a 2 pound jar of honey for only $24 a jar. Many other brands of honey that are considered local are from California or Arizona, but Tom's honey is made locally right in Las Vegas. You can purchase a jar of honey right from the source so that you will know there is nothing extra added to your raw honey. Also, all Tom's honey is 100% raw with no added preservatives. This honey is very special and only comes in limited quantities. Call (702) 303-4517 to schedule a time to come and pick up your jar of special raw, locally made honey. 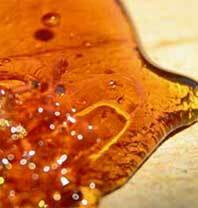 Raw honey is a sweet liquid that is produced by honeybees from concentrated nectar of flowers. When it is raw, it is unheated, unpasteurized and unprocessed honey. The ingredients are similar to that of fruits because it is pure and becomes alkaline in your digestive system. It counteracts indigestion and when mixed with lemon or ginger juice, it can even reduce nausea and give you energy. Raw honey has great nutritional value on it's own. You cannot find this type of honey in many supermarkets because much of the honey sold there is pasteurized to make it look clean and smooth. Pasteurization and heating of the honey destroys yeast and enzymes that activate vitamins and minerals in your body. Tom produces all of his raw honey in Las Vegas. There are many brands of honey that claim to be local, but are made in surrounding states such as California and Arizona. All of the honey made by Tom's Bee Hives is locally made right inside of Las Vegas, Nevada. This delicious local honey is only available in limited quantities and only available for pickup at Tom's house in Las Vegas. Our honey is 100% raw, which means that it meets a set of standards and conditioning during the production of the honey. Many different factors are taken into account to call honey raw such as the source of the nectar, the bees foraging area, management of the bees, the extraction process, transportation, processing temperature and even the packaging. 100% raw honey does not contain pesticides or pollutants. Raw honey is not only a healthier choice for honey, and it is also known to taste better than conventionally produced honey.  With over 12,000 registered members, Beesource Beekeeping is the most active online beekeeping community of it's kind in the world. 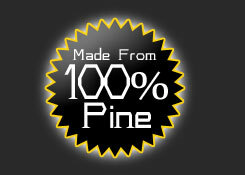 Our custom built bee hives are made from 100% pine wood. The quality craftsmanship that goes into the construction of the hives is second to none.